If you have ever travelled in the northeast of the United Kingdom, you may have seen huge expanses of well-tended grassland, like an English lawn but spanning numerous acres! Most likely they belong to one of the area’s many turf farms, which are dedicated to growing different varieties of transplantable grass. Turf farms are particularly widespread in northeast England and in Scotland, due to the abundant rainfall and the sandy, peat-rich soil, which greatly facilitates cultivation and harvesting. This particular type of crop is widespread not only in the UK, but also in the United States, generating a considerable sales turnover: turf is used not only for private gardens, but also for large sports facilities (including such famous venues as Wimbledon). Turf is planted simply by laying it on the desired site and adding fertiliser and water. The grass seedlings then grow and take root, seamlessly fusing the green mats together into a verdant carpet. 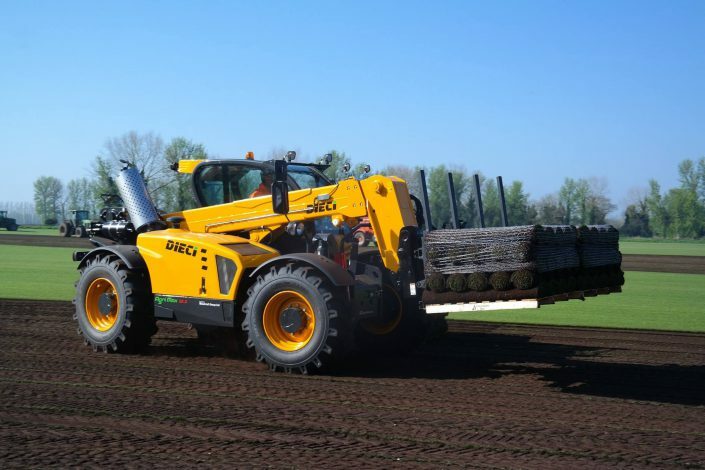 To preserve the freshness of the turf, it needs to be shipped within 26 hours of harvesting. Generally, however, it is loaded immediately onto the buyers’ trucks, which generally arrive right at the start of the harvest. 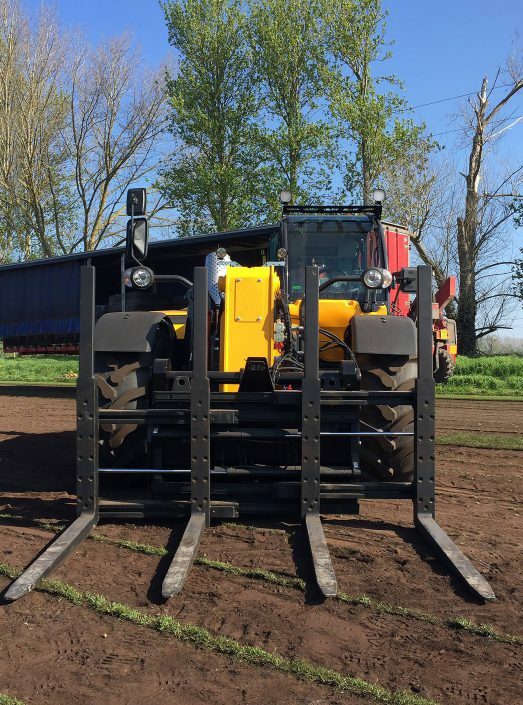 Speed is therefore a key factor, which is where our vehicles come in: we find ourselves in West Row, Norfolk, where the spring harvest is under way on a vast turf farm. 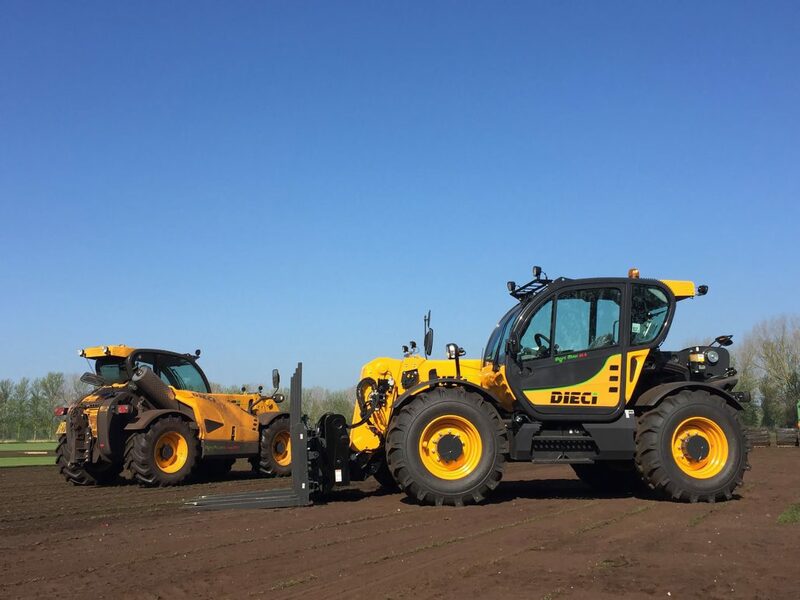 An Agri Max and an Agri Plus are shuttling between the turf buyers’ trucks, which are waiting on the edge of the field, and the collection points, where employees have filled the various pallets with freshly cut turf. 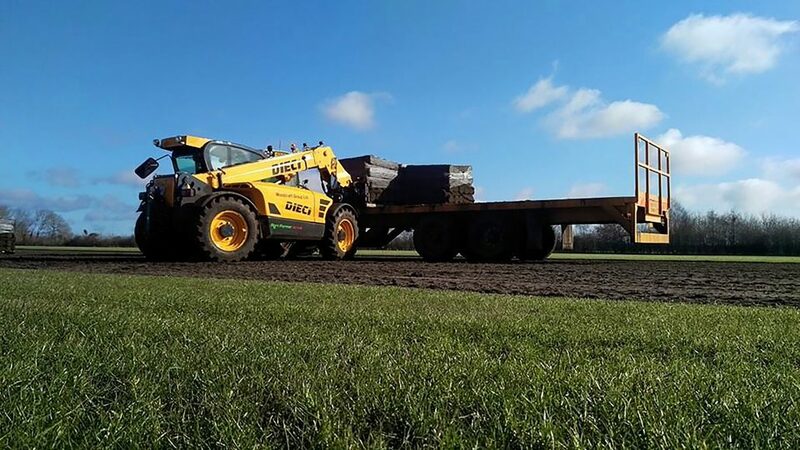 Some pallets containing noticeably large, non-standard-sized rolls are probably destined for a specialised use, such as football or rugby pitches.